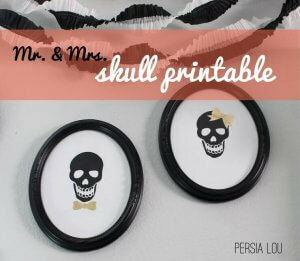 Mr. and Mrs. Skull Cameo – Free Printable! I’m pretty excited about my new friends. Don’t they look great? All dressed to the nines and ready for Halloween. They are probably my favorite part of my currently evolving Halloween vignette, and they were really easy to put together. Download the free printables (here and here). Make your prints extra special with a little gold leaf (see how below). 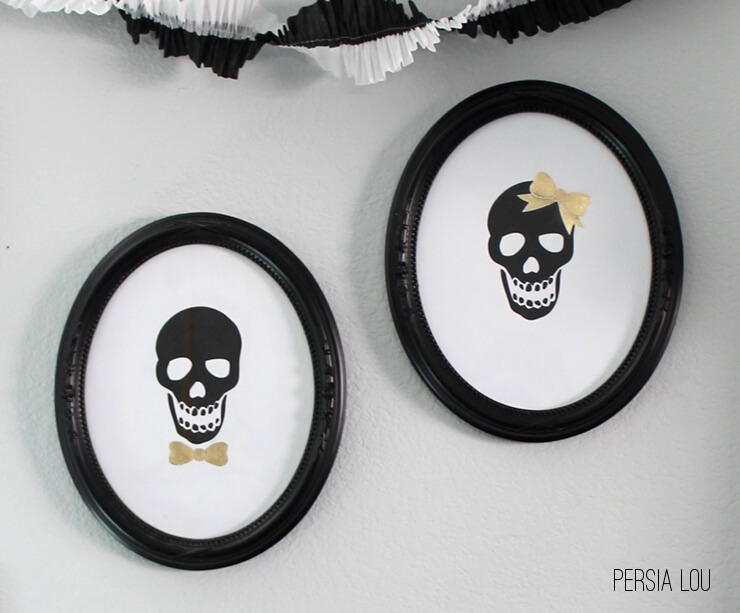 These skulls were inspired by these cool kids from Peppermint Plum. Their version uses a cute orange grosgrain ribbon, but I decided a pop of gold would go better with my black and white theme. 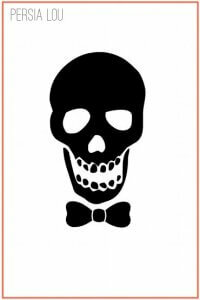 I made Mr. and Mrs. Skull using Totenkopf dingbat font and this bow clip art. After printing them out on cardstock, I gilded the bows. You can read more about this process here, but basically, you apply the adhesive, let it sit and get tacky, apply the metal leaf, and brush off the excess. Not too tricky. 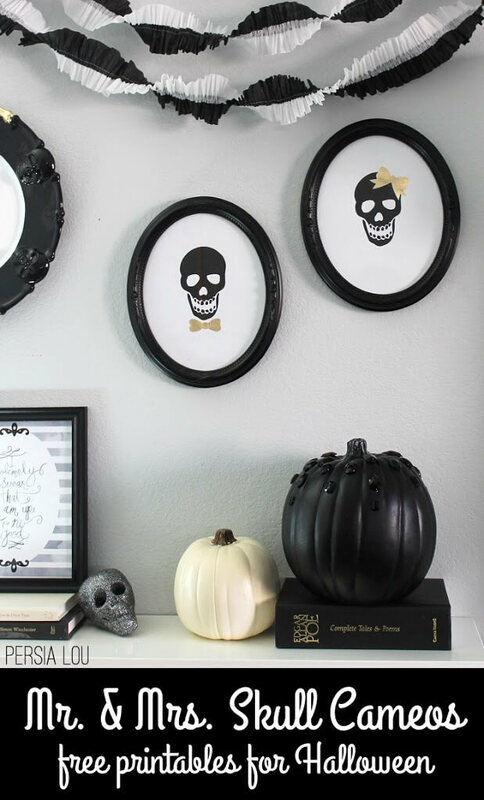 I had some great oval frames that weren’t currently being used, but Mr. and Mrs. Skull remedied that situation right away. 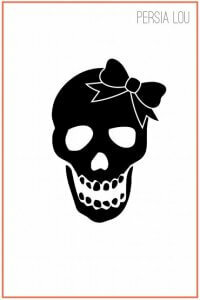 If you don’t feel up to gilding your bows, I think they would look pretty good in all black too. Download by clicking on the images below. Enjoy! Linking up at my favorite parties. 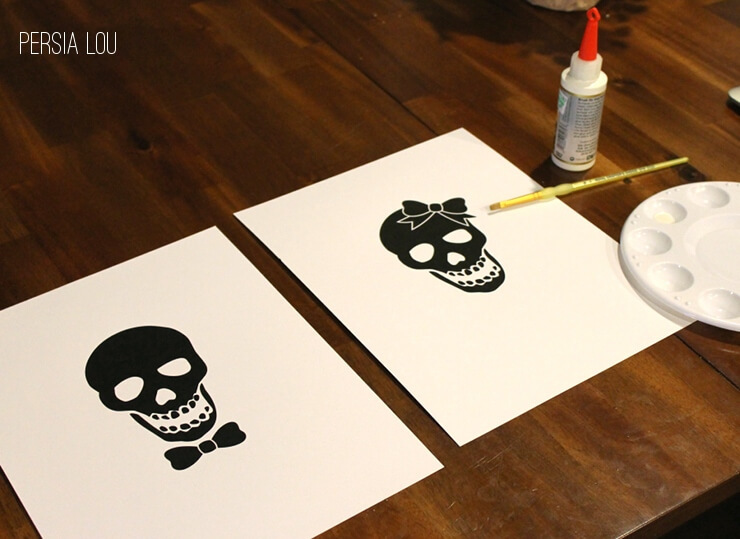 Be sure to check out my other Halloween projects and posts here! If you like this post, I would love if you pinned it! These are so creepy. They fit in perfectly with your decor. Great job! There are too cute!. 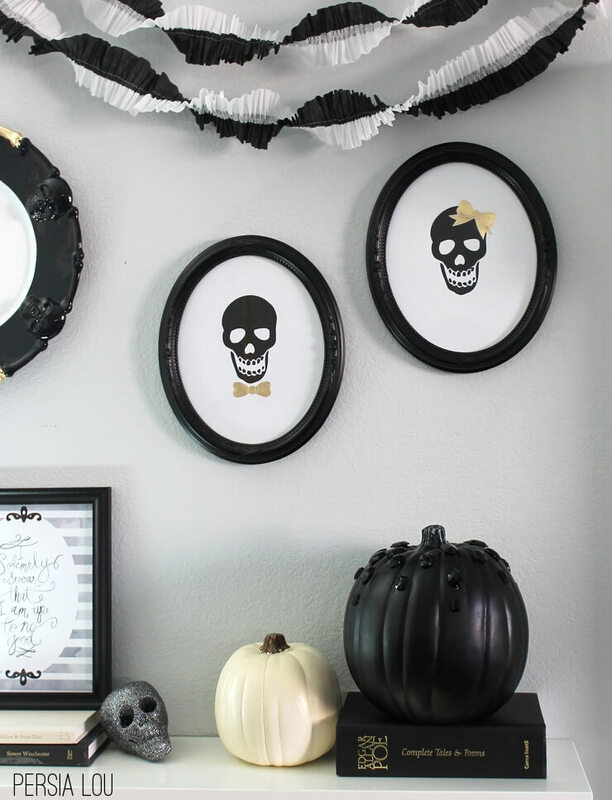 Love your Halloween vignette. These are adorable, I love the bow tie and the bow in her hair… I&#39;ve pinned them as well!<br />I linked over from the Work It Wednesday Party where I am participating with my <br /><a href="http://quilling.blogspot.com/2013/09/thank-you-card.html&quot; rel="nofollow">Thank You Card</a>, and<br /><a href="http://quilling.blogspot.com/2013/10/every-falling-leaf-card-and-autumn-frame.html&quot; rel="
Heey ^^<br /><br />Great post! :D<br /><br />P.s. The links both direct to the misses.<br /><br />Have a great day!<br />-Michel Merx. 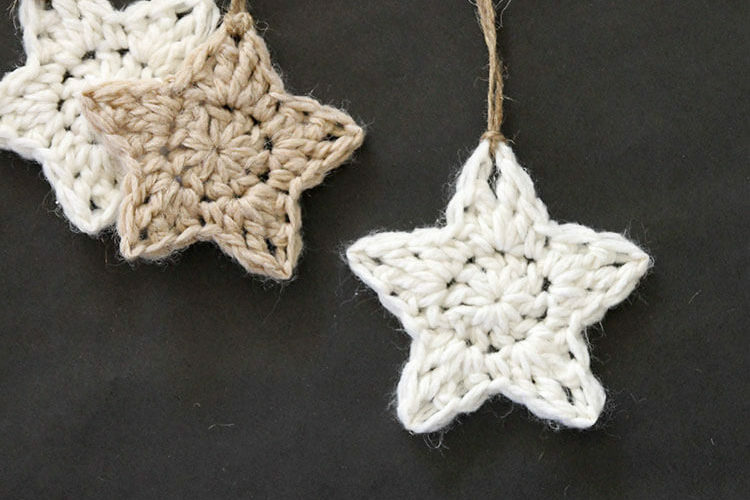 These are just too stinkin&#39; cute! We have a witch niche and now I think we need a skeleton wall! Pinning this one!